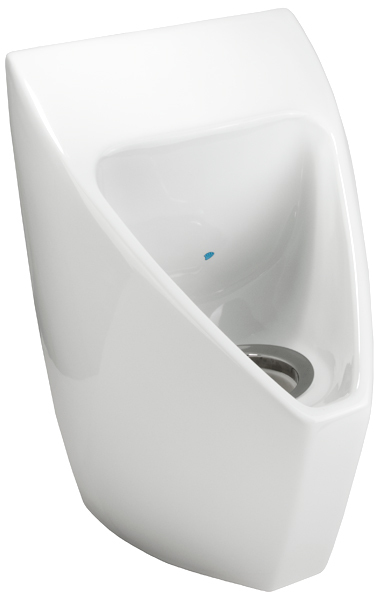 Waterfree Wall Hung Hybrid Urinal with Jetrinse. Did you ever wish you could occasionally flush your waterfree urinal just to eliminate odor and wash down the old pipes? Now you can with the new Sloan Hybrid Urinal with Jetrinse™ technology. This innovative new product is basically a waterfree urinal that automatically flushes up to one gallon of water once every 72 hours. You still save thousands of gallons of water a year, but now it’s easier to keep your lines clean, hygienic, odor free, and clog free! Wall hung, vitreous china complete with mounting kit. The patented high performance cartridge allows waterfree operation. 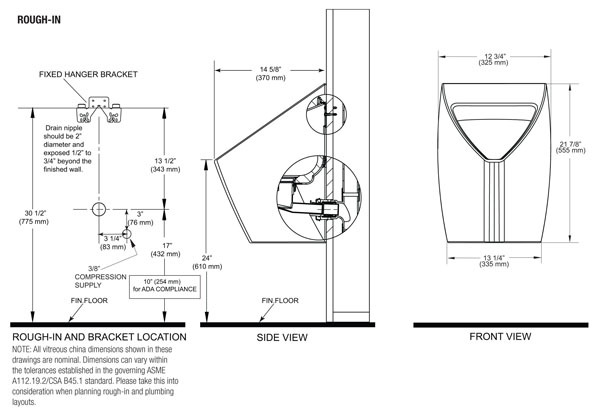 Patented housing and drain line rinsing. 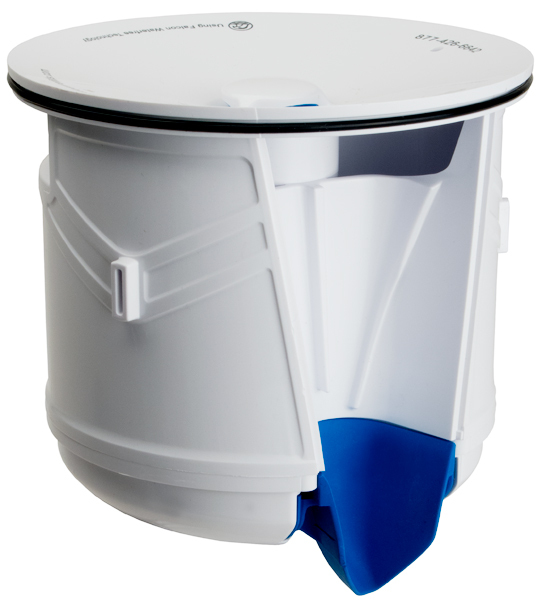 Automatic activation injects 1 gallon of water through housing and drain line to every 72 hours to prevent struvite build-up and prevent clogs. IR switch for manual rinse activation. At least 8 years of service provided by the long life lithium battery. Enhance patented design maximizes operational life, prevents accidental sealant loss and virtually eliminates odor. Biodegradable sealant liquid and vandal resistant locking design. 20% less plastic than previous designs of hybrid urinals. Urinal provides on average 7,000 uses that saves up to 40,000 gallons of water each year. Patented drain rinsing assembly eliminated number one cause of drain line clogs, minimizes cleaning effort and virtually eliminates odor. Has a touch-free hygenic operation and earns maximum LEED credits. Up to five times cleaner than conventional flush urinals.